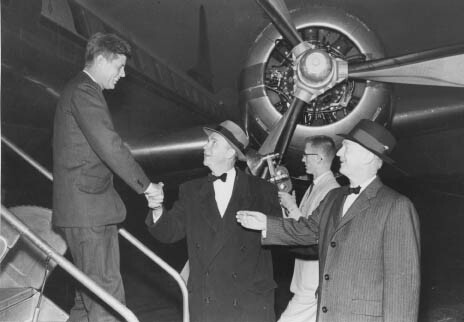 Senator John F. Kennedy campaigning in Charlotte. Also featured in the picture or Thomas L. Robinson & B.G. Duncan.